Does continuous evolvement of technologies possess a threat to businesses? According to a report, approximately 81% of the CEO’s from the banking sector are concerned about technologies changing at a breakneck speed. And, why only banking? Diverse business sectors such as insurance, manufacturing, healthcare, retail and many more are also largely impacted by disruptive technologies. Humanization to mechanization and now to automation — companies are forced to work in a continuously changing business environment, where one technology becomes old and outdated, the moment a new technology arrives. Therefore, it becomes paramount for businesses to implement an advanced automation software, which can evolve with evolving technologies and can help in performing consistently even in the long run. The traditional On-Premises ERP software consists of a rigid structure, which restricts business leaders from customizing and managing it according to new process requirements. And, the inability of old-day business process management software to evolve with evolving technologies leads to cost-overrun. This is the reason why the traditional On-Premises ERP software, which constituted approximately 87% of the total market share in 2008, covers only 17% approximately now. The demand for the old ERP software is receding sharply. But, then what business management software constitutes 83% of the total market share in the present? It is the SaaS-based process automation software, the demand for which continues to accelerate. And, Value Creation Automation (VCA) is one such advanced business automation software, which incorporates disruptive technologies such as Software-as-a-Service (SaaS), Artificial Intelligence (AI), cloud-computing and automation. Combining features of innumerable traditional business solutions such as ERP, CRM, BPM and many more, VCA is one solution to diverse business solutions. It is developed by experts at Cordis Technology. With its unique design and incorporating proven business models, this advanced business automation software has an edge over many of the modern-day ERP software. 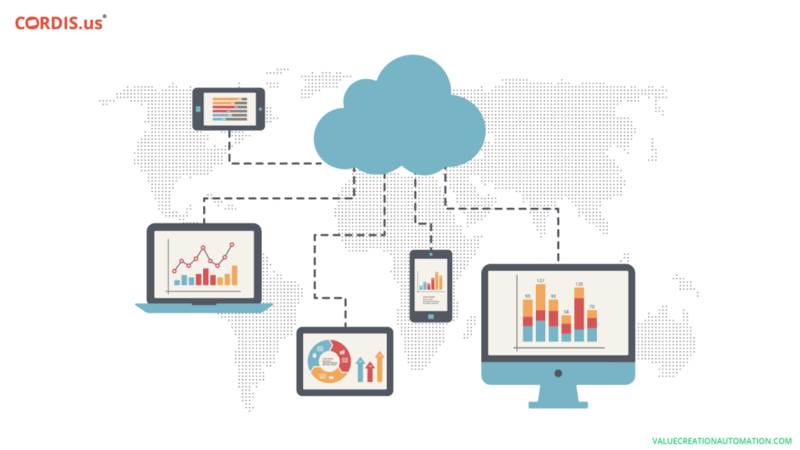 There are many advanced ERP software such as Microsoft Dynamics, Oracle, NetSuite and many more, and most of them offer cloud-based services as well. But, what is it that makes VCA unique and suitable for both SMEs and Large Enterprises. Not all the advanced ERP software consists of SaaS technology, which allows small businesses to grab benefits of technological solutions such as automation and Artificial Intelligence (AI). 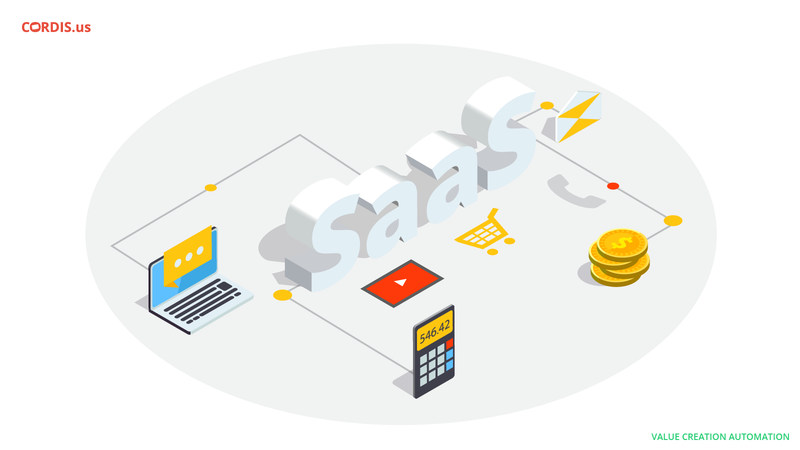 With the SaaS-based business delivery model, companies do not have to put in extra money to install hardware, software, servers and in the payment of license fees. SaaS-based business process automation software reduces IT costs by up to 50%, which makes it easy for even small businesses to start day-to-day operations without any capital requirements. Even more, an advanced automation software incorporating Software-as-a-Service technology charges on the pay-per-user basis. In other words, businesses just need to pay for the number of users they have. They can remove and add users as per the requirement and pay monthly subscription charges accordingly. The On-Premises ERP software has always been a costly affair for businesses. Not only its installation and configuration are time-consuming, but upgrading & updating the software and thereupon, the training of employees involves huge costs. A SaaS-based advanced automation software, on the other hand, is different. It allows regular update & upgrade of the software application at regular intervals. With this, Owners, Directors, and employees can use latest and up-to-date version of the software. An advanced business process automation software incorporating the SaaS technology allows businesses to evolve continuously with evolving technologies. This gives a flexible structure, which further support business leaders in customizing the software according to new process requirements. The SaaS technology creates an integrated platform, which brings entire business operations to one single controller screen. For instance, VCA consists of a visual dashboard, which is designed to successfully record and report every single business transaction in the real-time. Business leaders can have instant access to the visual dashboard even on their mobile phones and tablets, even when traveling. Through an integrated platform, SaaS-enabled advanced automation software creates a shared database, where business leaders can have instant access to data, statements and other important reports across departments, anytime and anywhere. This boosts transparency and establishes a smooth communication flow, which further supports the successful elimination all sorts of performance bottlenecks. Business leaders can be anywhere; employees can be out of the office — but, the visual dashboard allows to perform diverse business operations round the clock. A SaaS-enabled advanced automation software helps in identifying resources lying idle and directing them towards achieving common organizational goals. 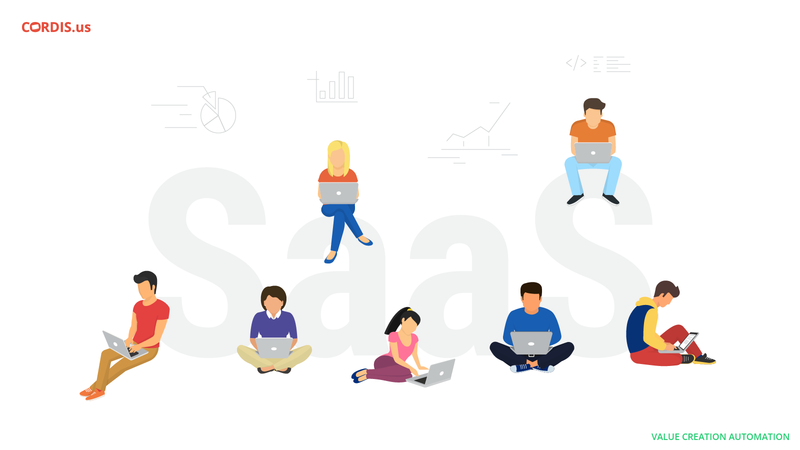 On the other side, SaaS also ensures that diverse business tasks are completed within the allocated time and resources. Moreover, businesses can also remain assured of a consistent quality of the finished goods and services as the SaaS technology keeps variations to the minimum level. With all these various factors, an advanced automation software significantly improves the efficiency of businesses. With all these factors, SaaS-based advanced automation software plays a key role in reducing overall operational costs of businesses and in enhancing the efficiency of processes. An advanced business process automation software such as VCA is beating many of the world’s leading ERP software as it is designed to support the holistic development of businesses. Be it the HR, finance, supply chain, sales or be it marketing — every single business process is automated. It reduces the error-rate and also helps in optimum resource utilization. With entire data saved in the cloud, the advanced automation software adds to the flexibility to perform diverse business operations from anywhere and anytime, even though diverse electronic devices such as mobile phones and tablets. Above all, an advanced automation software significantly helps businesses in analyzing complete business perform and even getting suggestions to expand business lines. Having implemented an advanced automation software, businesses can well understand the continuously changing market trends and the customer behavior, which supports in drafting business strategies and also in its effective implementation. And, these factors lead to a holistic development of business firms even in the long run. What Makes VCA The Best HR Software for Small Businesses? Why is VCA the best CRM software for small businesses?